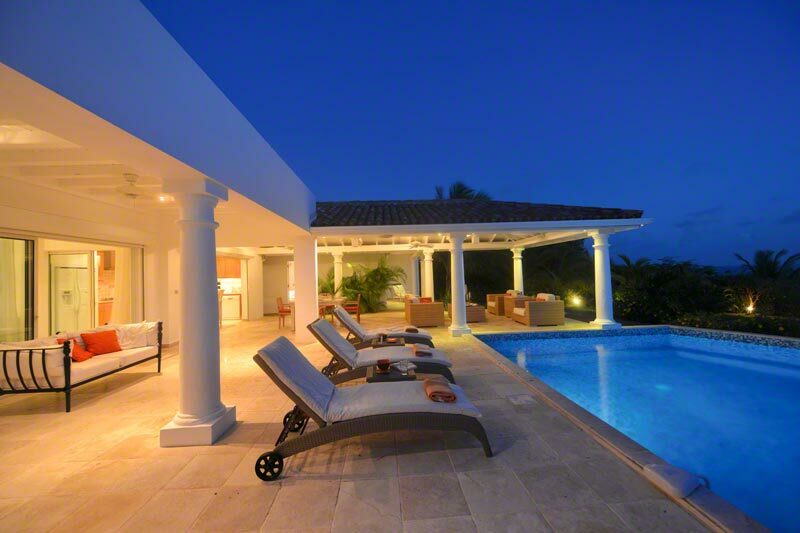 Built with privacy in mind, Lune De Miel sits on 2.5 acres of lush tropical land with vistas of the Caribbean sea. The name of this beautifull two bedroom villa speaks for itself - In French it is a "Honeymoon" . This wonderful honeymoon or other special occasion villa located on the hillside in Terres-Basses offers great vistas of the sea. The pool is exceptionally large for a two bedroom villa. A romantic, spacious gazebo adorns the pool area. Can be rented as a 1 or 2 bedroom villa . sapphire sea. From morning to sunset, it is mesmerizing and very romantic. quite retreat or good friends on a getaway. contemporary space that mixes modern style with traditional touches. stunning tiled pool, face the sea and gardens. that opens to the sea view. bedroom, with sea and garden views, has a semi-private sitting area. contemporary feel in soft creams, browns and deep oranges. Le Sand, Dreams and Mezza Luna. You are five minutes to the airport. Market. Drive 25 minutes to Grand Case and Philipsburg’s shopping haven. Each bedroom has a king size bed, air conditioning, TV & ceiling fan. The new master bedroom opens the gazebo and to a private terrace . The guest bedroom opens to the living area and to the swimming pool . 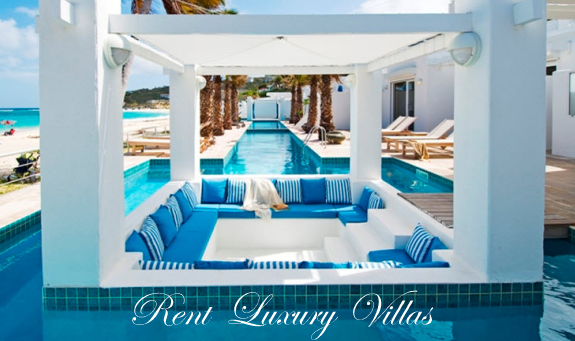 St Martin villa rentals are some of the finest Villa rentals available in the Caribbean, offering a unique Villa experience unparalleled on neighboring islands. This stylish French Island paradise isn't known just for its exclusive selection of St. Martin villas: A diverse culture - the island is French on one side and Dutch on the other. 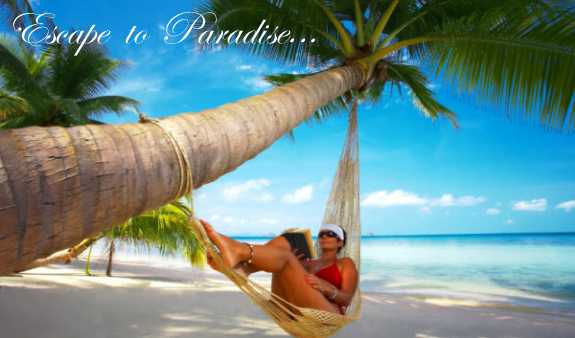 Looking for an alternative to a Hotel try a vacation rental villa for more luxury and service. For adventuresome guests, the island is also home to a wide variety of activities like scuba diving, deep-sea fishing and windsurfing. 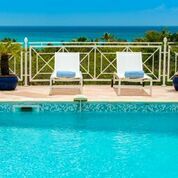 This Caribbean vacation rental villa is available year round and can be reserved for any available arrival and departure date.Call 800 480 8555 or 480 460 2800 for current availability. 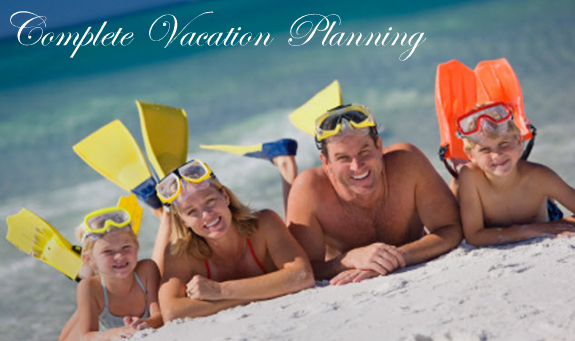 Minimum Stay 7 nights in high season, 5 nights in low season (7 nights Thnaksgiving Week) and two weeks at Christmas. Rates shown are weekly before tax/service charges. Additional night pro rated based on availability.